‘Manadirkku ugandadu Murugan roopam’ – Pleasing is the form of Murugan - goes a song composed by Thanjavur Sankara Iyer, in Sindubhairavi raga. But who is Murugan, the god so popular in Tamil Nadu? Dr. Fred W. Clothey in his book The Many Faces of Murukan: The History and Meaning of a South Indian God theorises that as agriculture gained currency, the hill god with his hunting attributes must have also acquired attributes that would be required of the god of an agricultural society, and when people began to move into cities, the god had to take on attributes that would make him a prototype for kings and chieftains to emulate and to identify themselves with. For the mythology surrounding the names Skanda, Kartikeya, Visakha, Devasenapati, we have to look at the Samskrit tradition. Visakha emerged from the portion of Skanda’s body cut off by Indra’s thunderbolt. 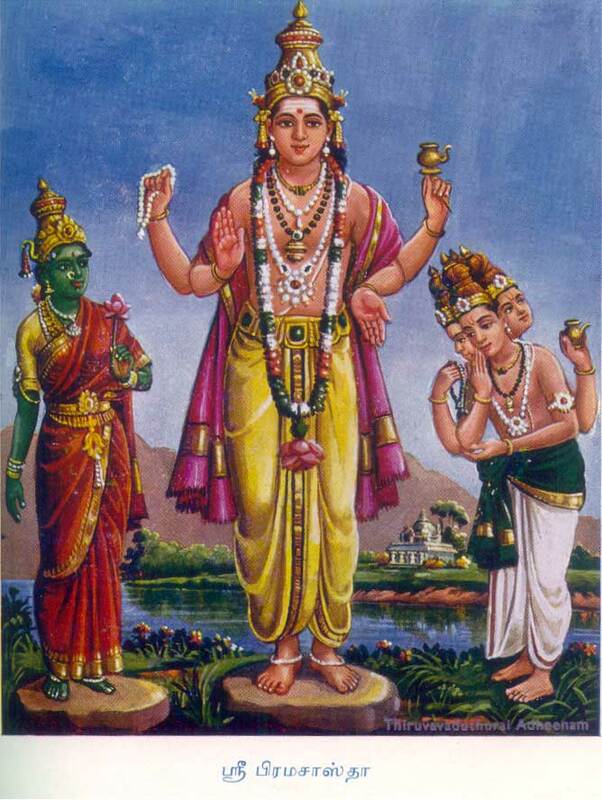 In the Atarva Veda, Skanda is the brother of Visakha and also Visakha himself. In the Ramayana, Viswamitra narrates the appearance of Kumara. Agni transfers the seed of Siva to Ganges, who, unable to bear the heat, ejects the embryo in the Himalayas. Nursed by the Kartika stars, the child becomes Kartikeya. Since he emerged from the Ganges, he is Skanda. The Mahabharata says when Siva, Parvati, Ganges and Agni waited for the child Kartikeya, he took four forms: Skanda went to Rudra; Visakha to Parvati; Sakha, Kartikeya’s Vayu form, went to Agni, and the fiery Naigameya went to the Ganges. Dr. Sircar pointed out that coins of the Kusana King Huviska (second century C.E.) showed that Skando Kumaro (Skanda Kumara) was treated as one god, while Bizago (Visakha) and Maaseno (Mahasena) were worshipped as different deities, and only later identified with Skanda. Dr. Saraswathi Sainath, Sanskrit Department, University of Madras, says that there are 17 references to Skanda in the svargavarga section of Amarakosha. 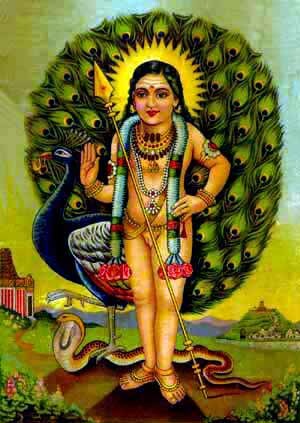 Each of them covers some aspect of the Skanda mythology - Sikhivahana because he rides the peacock, Shanmatura because he has six mothers and so on.With migrants coming to South India, there was a blending of the Northern Kartikeya/Skanda tradition and the South Indian Murugan concept. “In Paripadal, Siva’s son, borne by Uma, is born prematurely. The wives of six sages then bear the child, and give birth to six babies. When Indra tries to destroy the babies, they merge into one entity, and that is Murugan,” says Sarala Rajagopalan. 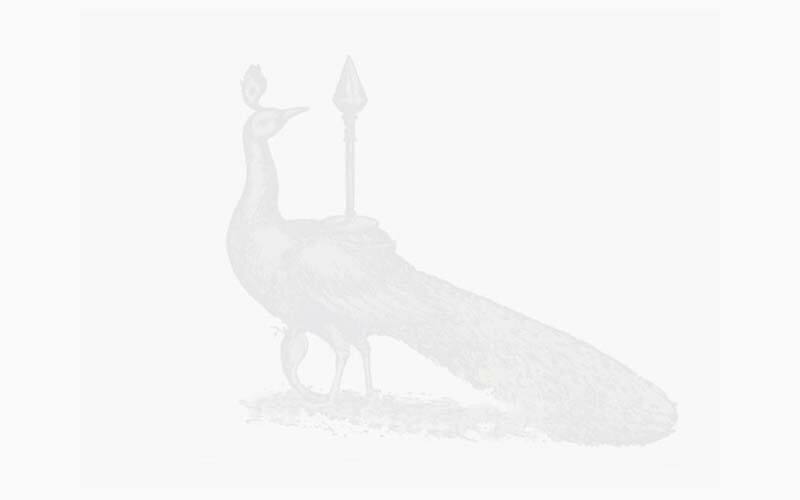 The Tamil Murugan, however, did not shed his original attributes. Epigraphist S. Ramachandran, says that even today, the one who dances in Sudalai temples in the southern districts of Tamil Nadu, is called Komarathadi, indicating that he dances the frenzied dance of Kumaran (Murugan). Ramachandran draws attention to a verse in Paripadal, where Valli emerges victorious in a fight with Deivanai, because Valli’s is a love match, popular in the Tamil tradition, as opposed to Deivanai’s, which is a marriage of convenience. 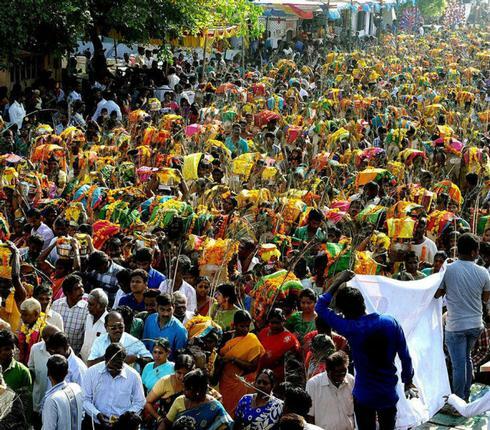 Talking of devotees carrying kavadi to Murugan temples, Dr. Murugesan, retired Professor, Folklore Department, Tamil University, Thanjavur, says that there is no direct reference in Sangam works to Kavadi. But Purananooru (302) talks of ‘Kaavineng kalaney,’ while referring to Avvaiyar slinging her possessions on either side of a pole, supported on her shoulders. “Carrying loads on the two ends of a stick supported on one’s shoulders is called ‘Kaavudal.’ In Murugan worship, the loads on either end could be pots of milk, flowers, etc. When loads are carried this way, you find that they sway in a pleasing manner, and this could have been the inspiration for the folk art known as Kavadi,” says Murugesan. Some years ago, I met Kavadi artist E. Vinayagam, a Kalaimamani awardee, in Thanjavur. 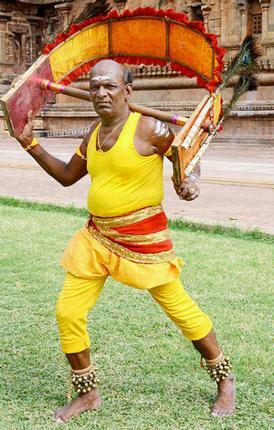 He began to learn Kavadi from his father at the age of 15, and performed the art for over fifty years in Murugan temples during Panguni Uthiram, Vaikasi Visakham, and at folk art programmes elsewhere. He explains how the Kavadi is made. The balancing rod is a banyan prop root - four feet long. On either end, planks of mango wood, almost an inch thick, one foot long and nine inches broad are fixed. Six bamboo sheaths are bent arch-like and fixed to the planks. Silk cloth and peacock feathers complete the decoration. Vinayagam could do the most amazing acrobatic tricks with the kavadi. He would shin up a bamboo pole, and lying prone on the tip of the pole, would balance the kavadi on his head. On one occasion, the pole bent and he was tossed on to electric wires, causing a short circuit, and he came crashing onto the tavil. He suffered a serious injury to his back, and was bedridden for six months. When he was back on his feet, he was unable to bear the kavadi on his shoulders. But after many attempts, he finally managed to perform kavadi again, and the swelling on his back subsided. “I believe that it is my devotion to Murugan and to my art that cured me,” he says. He has trained his nephew Siva and 25 students from Gujarat in the art. *The earliest epigraphical reference to Subrahmanya in Tamil Nadu is seen in the Velancheri copper plates, which talk of Aparajitavarma Pallava’s (9th century C.E.) contribution to the Tiruttani temple. The moolavar that is worshipped today belongs to the time of the Vijayanagar Empire. The idol worshipped in Aparajita’s time is seen in the prakara. *A fourth century C.E. inscription, discovered in the North-West Frontier Province, Pakistan, talks of a Kumara Sthanam. Dr. D. C. Sircar notes that the name of the person who built the temple - Gasurana Maka Putrena Saapharena - pointed to his foreign origin.